Visit http://smallbusiness.foxbusiness.com/legal-hr/2014/08/13/got-diversity-time-to-change-your-perspective/ to view the full article online. As the founder of Boston’s Diversity Staffing Pros, Kim Dukes-Rivers has been helping companies of all sizes hire the best and brightest employees since 2009. Dukes-Rivers calls her approach "the three Bs:" Build, Borrow, and Buy. Visit http://www.forbes.com/sites/capitalonespark/2014/09/02/4-steps-to-finding-the-best-talent-for-your-business/ to view the full article online. Every day seems to bring exciting new studies as research shows us more about how social media is changing the way we relate to one another, share information and even form our identities. Here are the major findings of seven social media psychology studies that will make your marketing smarter. Visit http://www.huffingtonpost.com/courtney-seiter/7-social-media-psychology_b_5697909.html?utm_hp_ref=business&ir=Business to view the full article online. In the years since it entered marketers’ radar screens, social media marketing has often been described as conducting "conversations." But the facts just don’t bear that out. The dominant setting for social media is Facebook, made king by its nearly 1.25 billion members worldwide. But are brands having conversations there with fans? Visit http://venturebeat.com/2014/09/02/for-many-brands-social-media-conversations-are-only-whispers/ to view the full article online. Kwik Car Wash helped raise a grand total of $7,629 for their 2014 "Wash for a Cause" season. Visit http://carwash.org/news-landing/2014/08/29/kwik-car-wash-raises-nearly-$8-000-for-local-charities to view the full article online. 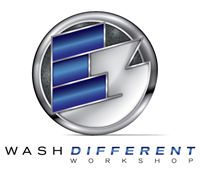 Grand Wash Auto announced it will offer free car washes to those participants in the 2014 Wellness Walk on Sunday, Sept. 28. Visit http://carwash.org/news-landing/2014/08/29/grand-wash-auto-gives-away-free-washes-to-the-wellness-walk-participants-supporting-the-olivia-newton-john-cancer-and-wellness-centre to view the full article online. The Camel Express Car Wash is not conducting its grand opening until January 1, 2015, however, founder Read Hauck has chosen to show his commitment to assisting the less fortunate individuals in the community immediately upon finalizing plans for construction. "There is an increasing number of homeless individuals across the nation and Nashville is no exception," says Hauck. Visit http://www.virtual-strategy.com/2014/08/31/east-nashville-based-camel-express-car-wash-launching-its-clothe-homeless-campaign-matchi#axzz3CBwQp657 to view the full article online. An eco-friendly car wash, aimed at finding employment for disabled people, has helped 10 workers land permanent jobs. The council-backed Future Clean scheme, delivered in partnership with employment and training specialists Seetec, is an environmentally-friendly valet service and was launched in May. Visit http://www.northlondon-today.co.uk/News.cfm?id=6367&headline=Green%20car%20wash%20creates%20real%20jobs to view the full article online. When water is a vital part of your business, it doesn't help when Mother Nature provides buckets of the wet stuff for free. "The biggest challenge for my business is definitely the weather," said Gene Allison, 45, owner of Classic Car Wash on Arcos Avenue in Estero. "During the rainy season, people just don't get their cars washed as often. The whole thing is weather-driven." Visit http://www.naplesnews.com/community/bonita-banner/service-with-a-smile-making-the-customer-happy-the-no-1-rule-at-classic-car-wash_82917288 to view the full article online. Expansion at the Friendly KIA dealership has created a "car spa," owner John Gillis explains. The dealer took over the former Brew City restaurant building next door to the KIA showroom. A car wash now anchors the renovated annex, but Gillis wanted to add many creature comforts where people can relax inside while waiting for their cars to get a spot-free bath at the Mister Friendly Auto Spa. Visit http://suncoastnews.com/su/list/news-pasco/friendly-kia-expands-with-car-spa-car-wash-facility-20140826/ to view the full article online.